Please write email eddress for contactsas the mentioned site don`t open --I`m interested for specisalization and for work with stem cells-have good results experience in therapy by usins autologous adult stem cells. have experience like clinical embryologist too--my contacts and resume:Basic- high University education-- biology faculty with some specilizations--in clinical embryology, stem cells technologies, laboratory genetics, PCR, laboratory diagnostics-biochemistry, immunology( with experience to create technology from "0" in new labs(IVF, cryostorage, spermatology lab, stem cells technology lab etc, to create new IVf clinics projects-including inside architecthure according technology needs, choosing optimal models of equipment, placing according technology optimal needs and creation technology).My first IVF babies--already from 17-16 years old.Will be glad to work in the sphere of IVf-stem cells technologies.Best regards, Natalia RESUME Contact information. Сell phone: +7 911 826 75 18, +7966 3167462 E-mail address: [email protected] OBJECTIVES: As a specialist in new cells technologies and laboratory diagnostics (clinical embryologist, laboratory geneticist, immunologist, cytologist, biophysicist, biochemist—biophysics department of medical -biology faculty. University.) I`m interested would be apply my skills in the areas of IVF-stem cells technologies, molecular biology in scientific fields and practical -treatment area. Cell biology experience/ clinical embryology. I established and maintained intensive operation of an embryological IVF Lab during more 3,5years. Development of sperm biochemistry direction with definite tests screening program. I have more 3,5 year experience in ART as a clinical embryologist(senior embryologist), also successfully worked with using the wide spectrum of bio-chemical, immunological, bio -physical, genetic methodics of research (for exp. PCR diagnostic, scientific training practice in CGH technology seminars). I was responsible for stocks and supplies for IVF technologies. I managed the process and monitored the procedures of conducting embryological duties within the Lab to make sure that the procedures were performed correctly. Self -motivated, team-player, attentive to details, good communication skills. Team-leading experience(coordinated the work of embryologists). 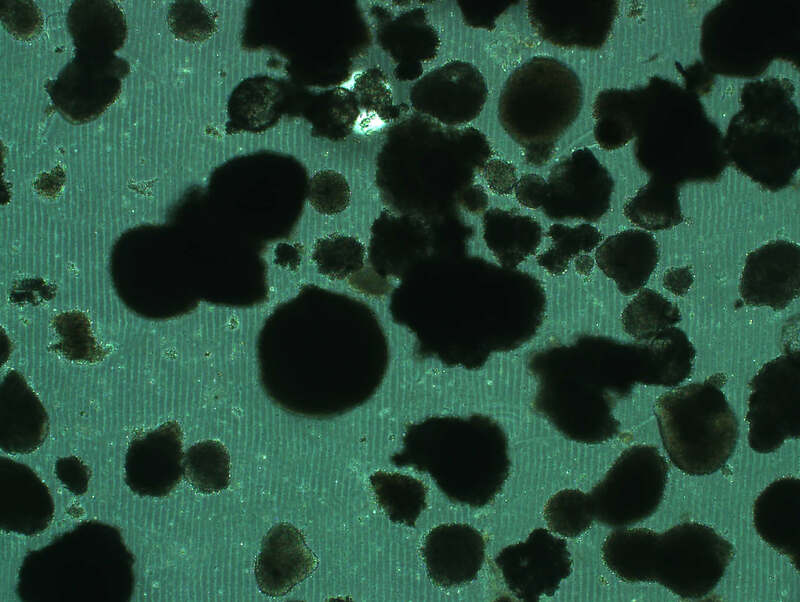 I have some experience in programs for pre-cultivation(ripening) of immature oocytes stages “in vitro” in different media including IVM-system (“Origio”, Denmark). I would like to work and get higher qualification at IVF: ICSI with spermatozoa(spermatids) of any origin, TESA, MESA, ROSNI, assisted hatching(different-laser, chemical),embryo(blastomers. throphectoderm) and polar body biopsy for PGD(Fish, CGH—how more perspective modern method of PGD), removal of extra pronucleus and fragmentation; hybridization «in situ».Programs for cultivation “in vitro” immature stages(oocytes, spermatids). I would like to try «oscillin factors», Ca2+ oocyte activation(Gynemed, Germany), donor mitochondria replacement(techniques involve removing the nuclear material from a donor egg-containing healthy mitochondria-and replacing it with the nuclear material from the mother's egg) other modern original approaches for oocytes activation or original ways of quality improvement and increasing of embryo quality and implantation embryo rates etc and I most interested about problem of immunology of reproduction(scientific-practical- treatment aspects). Also I would like--most interesting for me work directions connected with scientific field and clinical treatment aspects of stem cells technologies: embryonic and less perspective adult from different origins(bone marrow etc. others), therapeutic cloning. I would want to register for the ACE certificate of clinical embryology and receive licensed ICSI-stem cells European certificate practitioner. Eshre and RARH memberships. Cell biology experience/ stem cells technologies experience-scientific-treatment area. 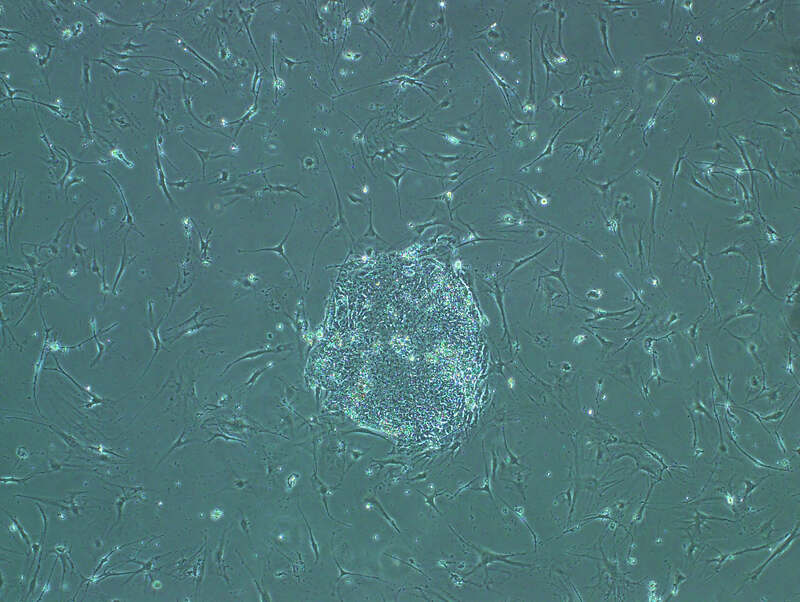 I had practice with stem cells works like separation, cultivation skills, preparation for transplantation mononuclear fraction from bone marrow and progenitor cells CD34+,CD133+etc. ;separation by cell sorter Miltenyi Biotec Germany. I have about 2 years experience work like cytologist in “New stem cells technologies Lab” for clinical treatment by progenitor stem cells for different spectrum of pathologies including: liver cirrhosis, consequences of ischemia lower extremities(diabetic foot), different types of arthrosis, bones healing failure(during about 1-0,6 years) after trauma (which successfully knit during 1 month after procedure) etc other. I fulfill too all managering work parallel for work in IVF LAB and in the center of new cells technology therapy. I performed also administrative jobs and I am familiar with office work as well too side by side with my special work as a clinical embryologist. EDUCATION AND TRAINING. November 13, 2014 Postgraduate training scientific-practical seminar “Merk Millipore SmartFlare TM Day”September 3-4, 2014. Postgraduate training scientific-practical seminar “Embryo and gametes selection”(Topics: Sperm anatomy. Modern methods of sperm selection IMSI. Time lapse technology for embryo monitoring. Biomarkers in embryo quality assessment and prognosis of implantation.) by Lev Levkov(Moscow), Albert Obradors(”Eugin”, Barcelona, Spain).Participation Certificate. September 3-4 , 2014 Postgraduate training scientific-practical seminar “Controversial aspects of embryological approaches”(Topics: Laboratory equipment for optimal work schedule for embryologist IVF or ICSI? 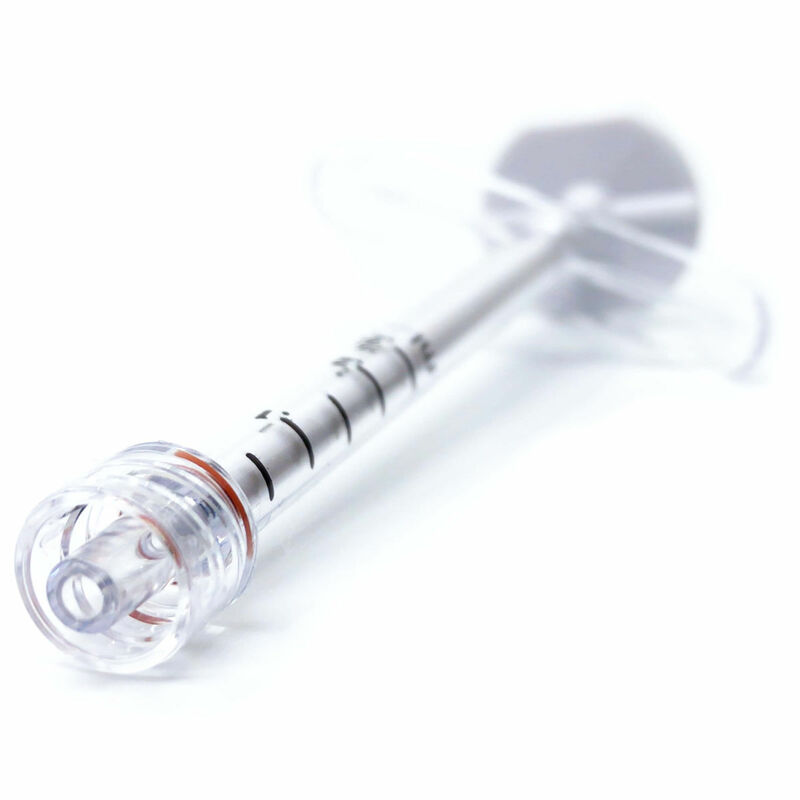 Indication for IMSI and PICSI.Frozen tissue storage: equipment and safety. Laboratory quality control. )by Lev Levkov, Moscow. Participation Certificate. September 3-4 , 2014 Postgraduate training scientific-practical seminar “Genetics and reproduction”(Topics: Indication for PGD. Comparison of blastomere and trophectoderm biopsy CGH versis FISH. Non-invasive prenatal diagnosis. Next-generation sequencing for PGD DNA microarray for monogenic diseases and microdeletions.) by A.Kuliev(Reproductive Genetics Institute, Chicago, USA) and by A.Obradors(“Eugin”, Barcelona, Spain).Participation Certificate. September 4-6, 2014 Postgraduate training scientific-practical seminar within the 24 International conference of RAHR “Reproduction technologies-nowadays and tomorrow”.Certificate. Yaroslavl, Russia. July –8, 2014, Postgraduate training—participation in practical seminar “Improvement of working techniques of laser hatching and laser biopsy on Zilos -tk (Hamilton Thorne, U.K.) and improvement of working skills on spermanalyzer( Hamilton Thorne, U.K.) by Technical Director of “Parallabs”(U.K.) Walid Maalouf, Ph.D. June,-- 6, 2014 Postgraduate training scientific-practical seminar"Endless questions of clinical embryology” by Dr. Vera Baukloh(Hamburg center of infertility treatment, Germany,) and Kiri Helena Beybli (ORIGIO a/s, Denmark), January—24,2014, Postgraduate training scientific-practical seminar” Clinical experience and new technologies,"on the base of “Origio” by Ida Maria Jans, ORIGIO a / s, (Denmark-Russia-Saint-Petersburg) November--20 , 2013 Postgraduate training scientific-practical seminar “NGS PGD, prenatal-- postnatal diagnostics—possibilities and opportunities ” by medical-laboratory company “Helicon” Moscow-Saint-Petersburg November -13, 2013 Postgraduate training scientific-practical seminar “CGH PGD, prenatal-- postnatal diagnostics, DNA methylation —new possibilities of method , protocol CGH PGD modification” by Dr. Andreas R. Polten “Agilent Technologies”', Germany September -27, 2013-Postgraduate training scientific-practical seminar “Japan technology of oocytes and embryos vitrification” by Masashige Kuwayama, Ph.D., Tokyo, Japan. Certificate . September 4-7 , 2013 Postgraduate training scientific-practical seminar within the 23 International conference of RAHR “Reproduction technologies-nowadays and tomorrow”. Certificate. Volgograd, Russia “Cultivation and embryo selection” by David Morroll ,UK( Director of Embryology, Origio, Denmark), Participation Certificate. September 4-7, 2013. Postgraduate training scientific-practical seminar “PGD and PGS” by Joe Leigh Simpson, MD, FACOG, FACMG, FRCOG, President of ”International Federation of Fertility Societies”. Participation Certificate. September 4-7, 2013.Postgraduate training scientific-practical seminar within the 23 International conference of RAHR “Reproduction technologies-nowadays and tomorrow”, Volgograd, Russia “Modern cryotechnologies”.Participation Certificate. June 24-27, 2013 Postgraduate training scientific-practical seminar “ Cryopreservation of ovarian tissiue and vitrification of embryos” under leading of director of embryology direction “, David Morroll. UK( Director of Embryology, Origio, Denmark) Participation Certificate. Postgraduate training practical courses “IVF- ICSI techniques(embryo biopsy, laser hatching etc), vitrification and crybank organization” on the base of Institute of Obstetrics and Gynaecology named D.O. Otta by the Russian Academy of May14-23, 2012 Medical Sciences and cultural media production company “Origio” (Denmark). Saint-Petersburg. Russia. Postgraduate training Research Clinical activity. May 2- June2, 2006 «Clinical Laboratory genetics». Saint Petersburg. Russia. Qualification Improvement Courses «“Stem cells technologies» on the base of the Scientific Center of Pathology of blood March 2006 circulation by the Russian Academy of Medical Science (Clinic was named of academician E.N. Meshalkin). Novosibirsk. Russia. Qualification Improvement Courses on the Subject: Nov 22—Dec3, 2004 « PCR—diagnostics of infectious diseases» on the base of the Central Scientific Research Institute of Epidemiology of the Russian Ministry of Health. Certificate Moscow. Russia RUSSIAN HUMAN REPRODUCTION ASSOCIATION Sept 2004 SEMINAR: «Reproductive Technology-today and tomorrow». Certificate. Moscow. Russia Seminar: «Methods of auxiliary reproduction. Nov 2001 Practical aspects». Certificate. Samara. Russia. Seminar: «Modern approaches to infertility sanation-2001». Sept 2001 Certificate. Saratov. Russia. SpbMAPS. Postgraduate training Research Clinical activity. June 2001 «Clinical Laboratory genetics». Certificate «excellent». Saint-Petersburg. Russia. Seminar: «Modern approaches to infertility sanation-2000». Sept 2000 Certificate. Samara. SQI COURSES on the base of Scientific Center of Obstetrics, Sept 1998 Gynecology and Perinatology by the Russian Academy of Medical Sciences—Clinical Embryology Branch by Prof. Dr. B.V. Leonov on the Subject: “ New methods of restoration of human reproduction function –IVF and transfer of embryo into uterine cavity”. CERTIFICATE of specialist— embryologist. Moscow. Russia. Qualification improvements Courses on the Subject: June 1997 « Clinical Laboratory Diagnostics» on the base of the Medical Doctor Improvement Faculty of the Russian State Medical University. Certificate «excellent». Moscow. Russia. SQ- Courses on the Subject: July 1996 «Biochemical Laboratory methods of exploration» on the base of Regional Clinical Hospital. Certificate. Voronezh. Russia Voronezh State University. Medicine-biological faculty. Bachelor`s in Biology. Specialization on biophysics. Diploma subject: «Studies of radical processes role in Sept 1987- June 1992 the process of photoinactivation of complement's system». «excellent».Membership in ESHRE, RAHR(September 4-6 , 2014. Certificate of participant of the 24 International conference of RAHR “Reproduction technologies-nowadays and tomorrow”, Yaroslavl, Russia ) WORK HISTORY. Embryologist-consultant “S PA R Ta” from 2013 Organization and supporting transfer of donors material(oocytes etc). Creation and development project of new IVF Lab(embryology and cryo Labs), Spermatology and laboratory diagnostics Labs. Equipping, technologically acceptable placement of equipment. Setting technologies in the new Labs. Human reproduction center—chief of clinical-embryology 2012 laboratory(fulfillment of all embryology part(including spermatology) of IVF procedures, full hormonal screening including oncomarkers on analyzer “Elecsys 2010”(Roche), primary screening on infection agents and viruses like HBsAg, HCV, RW, HIV, Chlamydia trachomatis). Medical company “LOGOS” –specialization on high Sept 2010 technologies radio-surgery, cosmetology etc medical equipment. Regional Medical Center of Saint-Petersburg. From Febr 2006 Laboratory of “New cells technologies”. Cytologist-geneticist in the field of new cells technologies. (stem cells).Scientific-practical aspects. Creation conclusive scientific basis(scientific literature work—about 70-80 reliable practical work sources) for possibility safe using concrete stem cells phenotypes (autologous , adult etc; different methodics of separation and preparation for transplantation) for medical treatment of concrete hardest pathologies(limb ischemia, diabetic foot, liver cirrhosis). 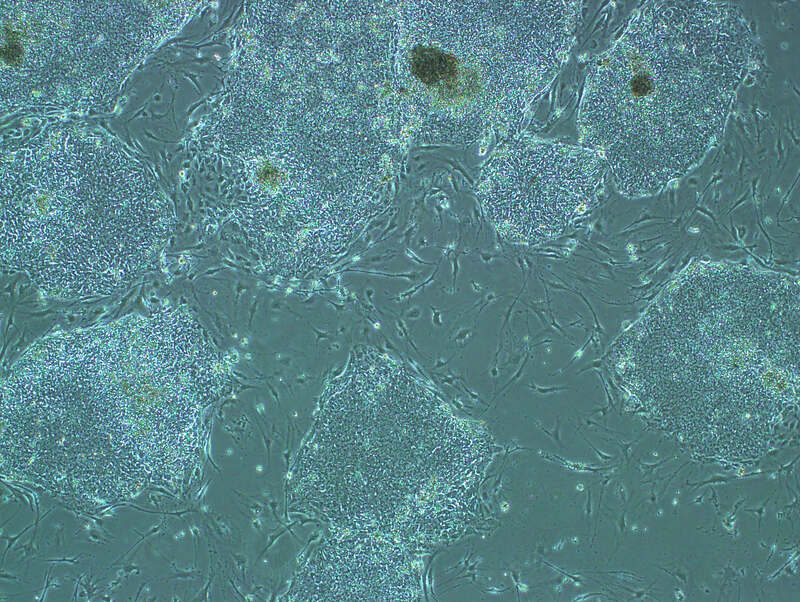 Stem cells practice works like separation, cultivation skills, (including prolonged), preparation for transplantation progenitor cells CD34+,CD133+ (with using cells sorter Miltenyi Biotec (Germany) and so named mononuclear fraction etc. Clinical treatment by progenitor stem cells for different spectrum of pathologies including: liver cirrhosis, consequences of ischemia lower extremities(diabetic foot), different types of arthrosis, bones healing failure(during about 1-0,6 years) after trauma (which successfully knit during 1 month after procedure)etc other. Work at IVF Lab. on the base of Regional Clinical Nursery Sept 1998-2002 as an embryologist (clinical embryologist in the post of geneticist). Fulfillment of embryological part of the Program IVF using auxiliary methods of cultivation(routine IVF procedure); pronuclear scoring assessment of embryo quality; cultivation till early morula stage and late blastocyst stage, grading. Spermatology skills: sperm count(camera of Makler), assessment of sperm morphology and also fulfillment individualized preparation of sperm patterns taking into consideration immunological factor, different enzymopathologies, rough pathospermic changes in patterns(heavy forms of asthenospermic theratozoospermic, spermacrasian etc.) for insemination «in vitro» and «in vivo». MAR test IgG, IgA etc. Spermanalyser SQA-Vision. Primary sperm screening tests. Sperm biochemistry. Development of direction –department of biochemistry of sperm(ejaculate)-photometry method of investigation--using different models of tablet analyzers(alpha-glucosidase, fructose, citric acid etc).Cryopreservation skills: slow cryopreservation and thawing of sperm (donor `s and patients), oocytes, embryos on different stages using cryoprotection sets by Medi-Cult(Denmark), and programs of freezing FREEZE CONTROL MODEL-853(AUSTRALIA). FAST FREEZING. Vitrification of oocytes, embryos(on different stages from morula till blastocyst), sperm with using cryoprotector`s sets “Origio”(Denmark), “Proteinsynthesis”(Russia), Kitozato(Japan), Cryotech(Japan), FertiPro, Sperm Freeze(Belgium).Management of cryo-bank. Biochemical laboratory on the base of Voronezh City 1995-1997 Clinical Hospital as a doctor-paraclinicist(biochemist). Fulfillment of all spectrum of biochemical analysis: hormone level, blood circulation system, spectrum of serum, liquor proteins (including enzymes), protein metabolism, fat level, carbohydrate balance, mineral level etc. The Central Scientific Laboratory of the Voronezh State 1992-1994 Medical Academy (named after N.N.Burdenko)— immunological department as a Research Assistant. Fulfillment of practical scientific part for Ph.D and for a Doctor's degrees; the main direction of work in immunological department was « Hyperbaric oxygenation factor's influence on change of immune status and intensity of POL-processes in the group of different pathology» SPECIAL SKILLS: CULTIVATION SKILLS: I fulfill embryological part of the Program IVF using auxiliary methods of cultivation(routine IVF procedure); pronuclear scoring, assessment of embryo quality ;cultivation till early morula stage and late blastocyst stage, grading. Prefferings for multistage media using(“Origio”, Denmark): IVM-medium, Universal IVF Medium,M3 Medium, BlastAssist System, ISM1,ISM2,UTM,Sperm Preparation Medium; gradient systems-Ixa Prep ,Supra Sperm, EmbryoGen; also used Conception Technologies (США)-HTF Medium, enhance day3 HTF Medium;Nidacon (Швеция) –Ready Swim, Pure Sperm Buffer, Pure Sperm 40/80 ;on beginning of work used ССD(France): B1,B2,B9. I have some experience and practical work during 2 years with stem cells like separation, cultivation skills progenitor cells CD34+,CD133+, with so named mononuclear fraction etc and cells preparation for transplantation treatment procedures etc. SPERMATOLOGY: sperm count, assessment of sperm morphology I also fulfill individualized preparation of sperm patterns taking into consideration immunological factor, different enzymopathies, rough pathospermic changes in patterns(heavy forms of asthenospermic theratozoospermic, spermacrasian etc.) for insemination «in vitro» and «in vivo». MAR test IgG definition. Experience – installation and validation working on sperm-analyzer SQA-Visual(MES). CRYOPRESERVATION : slow cryopreservation and thawing of sperm (donor `s and patients), oocytes, embryos on different stages using cryoprotection sets by Medi-Cult(Denmark) and programs of freezing FREEZE CONTROL MODEL_853(AUSTRALIA). FAST CRYOPRESERVATION. Vitrification of oocytes, embryos(on different stages from morula till blastocyst), sperm with using cryoprotector`s sets “Origio”(Denmark),“Proteinsynthesis”(Russia),Kitozato(Japan), Cryotech(Japan), FertiPro, Sperm Freeze(Belgium).Management of cryo-bank. I am also successfully exercise a wide spectrum of bio-chemical, immunological, bio-physical, genetic methodics of research. ADDITIONAL EDUCATION. November 13, 2014 Postgraduate training scientific-practical seminar “Merk Millipore SmartFlare TM Day”.Certificate. September 4-6, 2014Postgraduate training scientific-practical seminar within the 24 International conference of RAHR “Reproduction technologies-nowadays and tomorrow”, Yaroslavl, Russia. Postgraduate training scientific-practical seminar “CGH PGD, prenatal-- postnatal diagnostics, DNA methylation —new possibilities of method , protocol CGH PGD modification” by Dr. Andreas R. Polten “Agilent Technologies”', GermanyNovember -13, 2013 Postgraduate training scientific-practical seminar “Japan technology of oocytes and embryos vitrification” by Masashige Kuwayama, Ph.D.,Tokyo, Japan. Certificate. September -27, 2013 September 4-7 , 2013. Certificate of participant of the 23 International conference of RAHR “Reproduction technologies-nowadays and tomorrow”, Volgograd, Russia Qualification improvement Courses : “Web-design. 2003 ( modern LAN technologies)”. Certificate. English language Courses. 2003 Finnish language Courses. Saint-Petersburg 2006 PARTICIPATION IN CONFERENCIES, CONGRESSES RUSSIAN HUMAN REPRODUCTION ASSOCIATION 2000 CONFERENCE :”Modern approaches to infertility sanation-2000». Samara. Russia. RUSSIAN HUMAN REPRODUCTION ASSOCIATION 2001 CONFERENCE «Modern approaches to infertility sanation-2001». Saratov. Russia RUSSIAN HUMAN REPRODUCTION ASSOCIATION 2004 CONFERENCE: «Reproductive Technology-today and tomorrow». Moscow. Russia. 3 International IVF Congress which was devoted the birth of the first Russian IVF baby girl—20 years ago. ”Actual questions of ART: problems and solvings”. Moscow. Russia. 2006PATENTS, INNOVATIONS Patent on innovation (№ 1369; 26.10.92) of modification of micro method of definition of hemolytic activity of complement system: : “Method of spectrothotometrical definition of hemolytic activity of complement’s system(C) by application to small animals”.PUBLICATIONS. Several regional central publications in Russian press --1992-1994 and in “Biophysics”. LANGUAGES: Intermediate English, pre- Intermediate Finnish(28.11.2013-certified training courses for teachers of Finnish language " Finnish in live communication", The Finnish Institute in St. Petersburg, Ph.D. Larry Kotilainen, University of Helsinki, teacher, author of the Finnish textbooks Yrjö Lauranto), beginning of Basic Swedish. COMPUTER SKILLS. Internet research, MS Word, Adobe Photoshop, Adobe Reader, Web-design skills etc. PROFESSIONAL QUALITIES. Self -motivated, team-player, attentive to details, good communication skills. Team-leading experience (coordinated the work of embryologists). I am familiar with office administrative jobs as well too side by side with my special work as a clinical embryologist. Managering experience and monitoring of procedures of conducting embryological duties within the Lab to make sure that the procedures were performed correctly.